BROADBAND SUPPLIER EIR has confirmed that it has taken every measure to protect customers’ data, but did not rule out the possibility that some customers’ data may have been accessed after a “vulnerability” was found in its modems. The company will contact 130,000 customers to advise them to reset their modems, and have said that at least 2,000 devices were breached. As of yet, Eir has no idea who was responsible for the hack and has informed the government and the Data Protection Commissioner on the case. Speaking on RTÉ’s Morning Ireland, Eir’s director of communications Paul Bradley said that the company became aware of a potential security vulnerability after details surrounding the risks were posted on the internet. “It came to light because there was a post online,” he said. Eir raised the issue with their supplier, who confirmed the security risk on 22 November. “We immediately took steps to protect the customer,” he said. He added that once the suspected malware was found on a number of devices, action was taken to reset the modems and secure the devices and customer data. What this means is that we have an indication that a third party tried to get unauthorised access. At this time, there’s no indication that any customer data has been accessed. When pushed on if it was possible customer data may have been accessed that Eir was not yet aware of, Bradley said that could be the case. 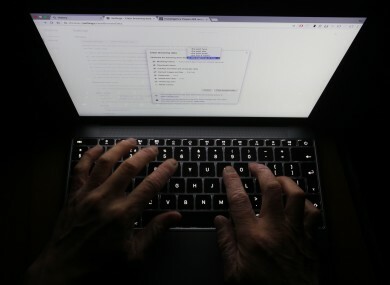 Last weekend, it emerged that thousands of Eir customers’ data may be at risk of being stolen because of a fault with a piece of internet hardware, or modem, supplied by the company. In a statement to TheJournal.ie, Eir confirmed that “approximately 30%” of its modems may have this “security vulnerability”. “Eir has been made aware of the potential security vulnerability concerning two of our broadband modems, the Zyxel D1000 and Zyxel P-660HN-T1A devices,” they said. The company is advising all of its customers to reset their modems as a precaution. The 12-step guide to resetting the modem can be found here. Along with the steps already taken by Eir, resetting the modem “should secure the device and solve the problem,” according to Bradley. As for who was behind the attack, Bradley said that “we don’t know who was responsible”. He added that Eir has informed the Data Protection Commissioner, the Department of Communications and the government’s cyber security body about the breach. Email “Eir only became aware of potential security breach after reading about it online”. Feedback on “Eir only became aware of potential security breach after reading about it online”.